We've moved! 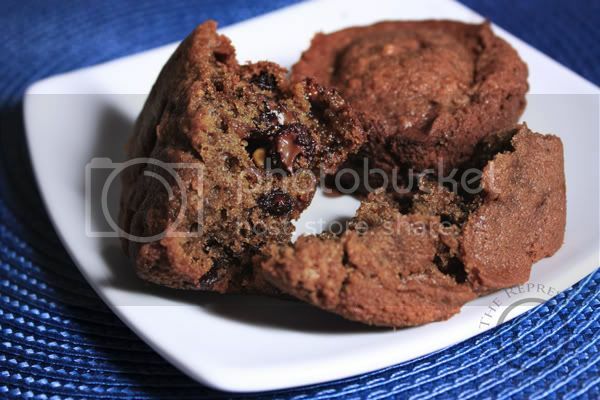 Update your bookmarks and RSS feeds... and visit me at http://www.TheRepressedPastryChef.com woohoo!!! I hope you'll continue reading!! :) Click to read the rest of "Update Your Bookmarks and RSS Feeds"! 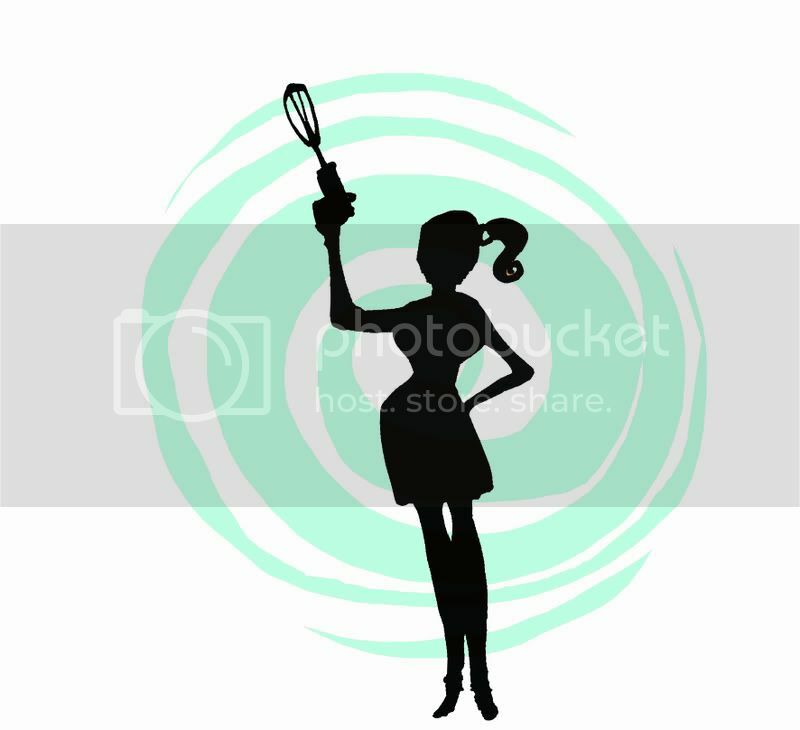 Be sure to update your bookmarks and your RSS feeds because The Repressed Pastry Chef is on the move! As of Tuesday October 7, 2008 my blog will have a new home and a whole new look. Is this exciting, or what!?!?!!!!!! If you've enjoyed my blog here on Blogger, I hope you'll consider joining me over at my new home :) It's been a blast here but the time has come to kick things up a notch. All the old posts, comments, recipes and pictures have been packed up and loaded onto the moving truck... and I hope you'll caravan along too. ...vroom vroom!! beep beep... Let's go!! Click to read the rest of "Moving Day Is Almost Here"! Recently on a trip to CPWM, I came across a big bag of E.Guittard Cappuccino baking chips. I'm not one who can resist baking chips, especially those that are slightly out of the ordinary so of course I bought them (having absolutely NO idea of when or how I'd use them LOL!). So as the Chocolate Chip muffins I had wanted to make suddenly included bananas at the request of DH I decided to throw caution to the wind and incorporate his next suggestion of a coffee-flavored base... and since those cappuccino baking chips were staring at me rather forlornly from the pantry, yeah, I threw those in too! LOL! DH loved the batter, I mean, he licked the paddle clean and then started in on cleaning the bowl... with his fingers!!! Wow - that's saying something because he rarely cares for that, usually preferring to wait for the finished product. After it was all baked, he proclaimed this muffin to be so good and so delicious in flavor that he would actually BUY it in a store. O-M-G! I won't say he's cheap because he's definitely not, but the times when he will spend money on something like that which he considers to be absolutely unnecessary and "foo-foo" are ridiculously few and far between. He'd rather save the moolah and buy something at ManLand (aka Home Depot for those who don't know! LOL!!). So, for my wonderful husband to say he'd actually spend money and buy these muffins at a retail location can only mean one thing.... YOU GOTTA MAKE 'EM!!! In the bowl of a stand mixer with paddle attachment, combine butter and sugar until light and fluffy. Add the egg and combine well. Add the banana and combine well. With the mixer on low speed, slowly add the dissolved coffee, then the vanilla and combine well. Add flour, salt, baking powder and soda and mix just until combined. Add chocolate chips and the cappuccino chips and mix to incorporate. Fill muffin tins 2/3 full and bake for about 20 minutes or until a toothpick inserted in the center contains moist crumbs. Do not overbake. Cool in pan 5 minutes then remove to wire rack to cool completely. 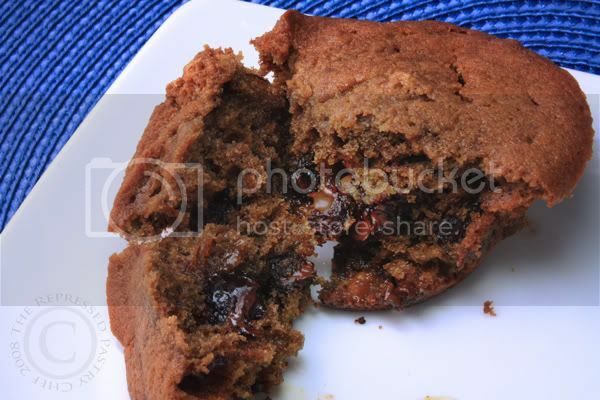 Click to read the rest of "Mocha Cappuccino Chocolate Chip Banana Muffins"! I made these cupcakes a few weeks back. They're extremely tasty... especially if you're a fan of almond since the cherry adds a nice variation. I never quite got around to posting them perhaps because I thought the pictures really didn't turn out well. They're not hideous, but they're not "good". I was reading another baking/food blog the other day and she posted something she didn't feel was gorgeously photographed but shared it anyway because the recipe was worth it. Well, that sums up my feelings today... the photography isn't stellar but the cupcakes are so tasty that I simply have to share! In the bowl of a stand mixer fitted with paddle attachment, combine butter and sugar and beat until fluffy (about 2 minutes). Add eggs and extracts, beating well after each addition. 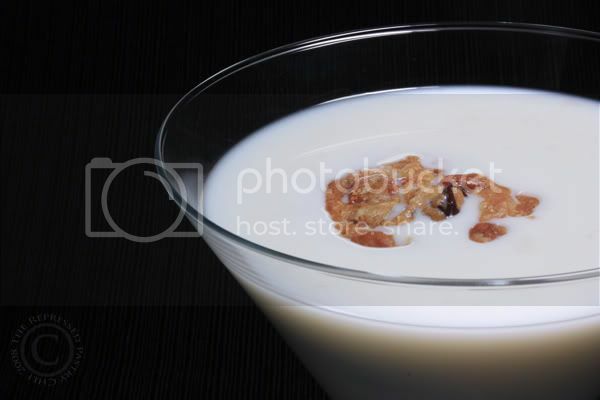 Add one-third of the dry ingredients, then half the milk; repeat and mix until well combined. Add in the remaining cherries that were not set aside and mix only until cherries are well distributed. Spoon batter into prepared muffin tins about 3/4 full. Bake for 15 minutes or until a toothpick inserted in the center comes out clean. Cool in tins for 10 minutes, then remove and let cool completely on a wire rack before frosting. For the frosting make a half-batch of the buttercreme icing recipe found here and mix in a few fresh cherries (about a half-dozen to a dozen depending on personal preference), pitted and chopped very small (almost to the point of being mashed). 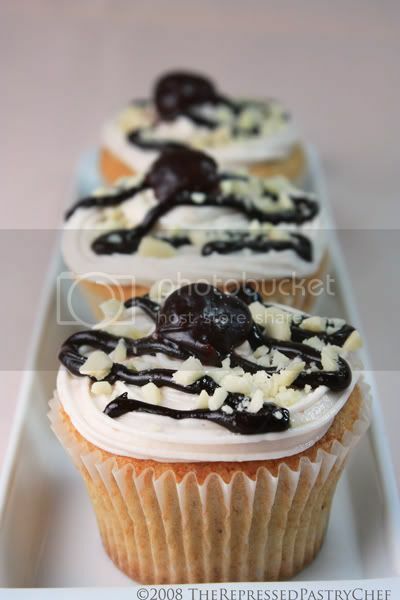 Once the cupcakes have been frosted, garnish each with a half-cherry, some crushed almonds and a drizzle of melted chocolate. 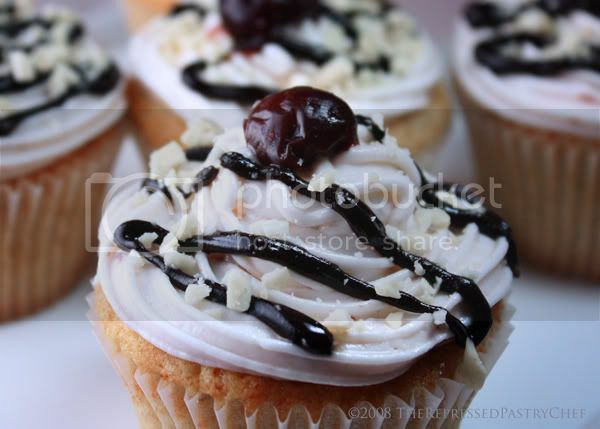 Click to read the rest of "Cherry Almond Cupcakes"! When I lived in the Washington DC area, my favorite breakfast on a cold winter morning was oatmeal. But it had to be a cold morning... it had to be a morning when I didn't have to rush off to work... and my oatmeal had to be full of brown sugar, cinnamon and raisins. Now I'm back in the suburbs of the Los Angeles area and here a "cold winter morning" is when the temperature is in the neighborhood of 60 degrees (hardly cold if you ask me! LOL). Since our weather doesn't afford me the chance to enjoy oatmeal very often I thought I'd transform that favorite breakfast into a cookie. Turns out, it's a very good cookie at that!! Line cookie sheets with Sil-pat, silicone baking mat or parchment paper. In the bowl of a stand mixer fitted with paddle attachment, cream the butter, shortening and brown sugar. Add the egg and vanilla then mix until ribbony smooth. Add in the flour, salt and baking soda - mix until thoroughly combined. Add the cinnamon baking chips and mix to combine. Stir in the rolled oats. 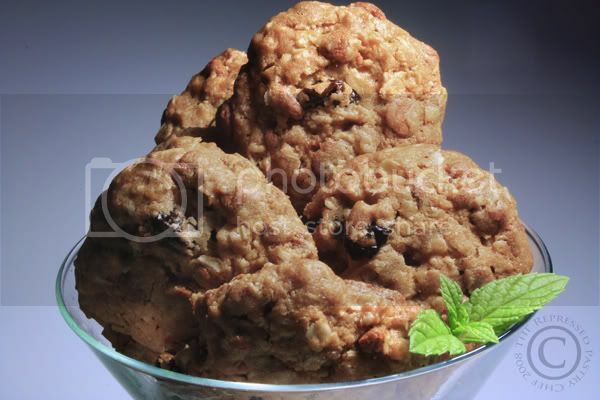 Roll tablespoon size mounds of dough into balls and place on prepared cookie sheet. Flatten slightly. Bake for 14 minutes in the preheated oven. Remove from oven and cool on pan for 3-5 minutes then remove to wire rack and cool completely. 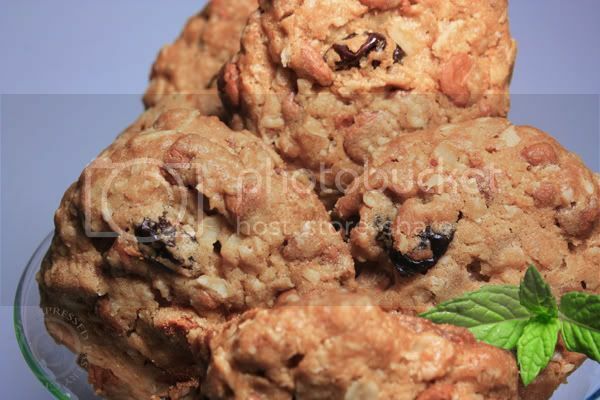 Click to read the rest of "Cinnamon Raisin Oatmeal Cookies"!